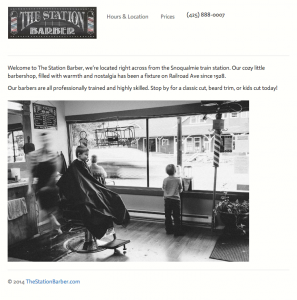 The Station Barber in Snoqualmie, WA is a local barbershop right across from the train station. Their website is built for mobile users too with a custom bootstrap based WordPress theme. 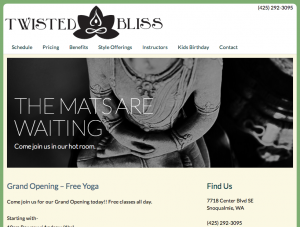 We just launched the new website for Twisted Bliss Studio, a local hot yoga studio in Snoqualmie, Washington. 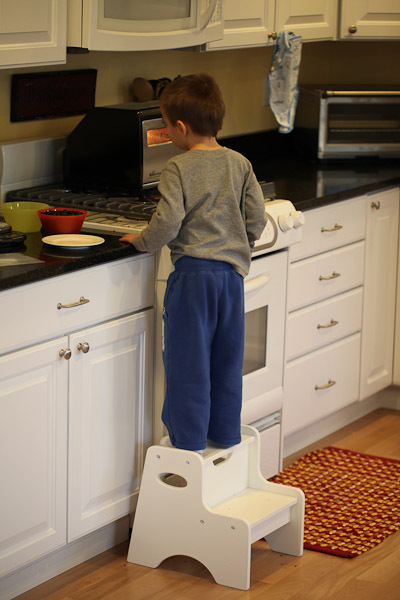 The site features a responsive design that works well on regular browsers and mobile devices. Its based on a custom wordpress theme developed specifically for the client. While trying to sign up for a business credit card on American Expresses website I encountered a complete show-stopper. The street address field only allows 20 characters. But what if my address is longer than 20 characters? According to their help text I’m supposed to use abbreviations to make it less than 20 characters. But wait, I haven’t even gotten to the part of my address where I can use abbreviations. Usability recommendation: Allow your users adequate field lengths to collect the type of data you intend to collect. Be generous with this. It’s inexpensive to store a few extra characters in a database, but it’s very costly to turn users away from your product/service. 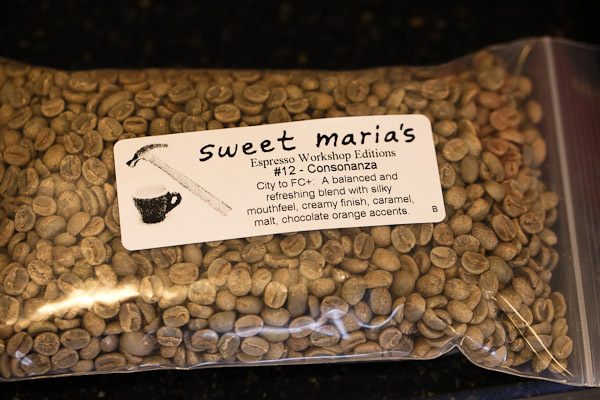 Last week my new Behmor coffee roaster arrived along with 10 pounds of green beans from Sweet Marias. 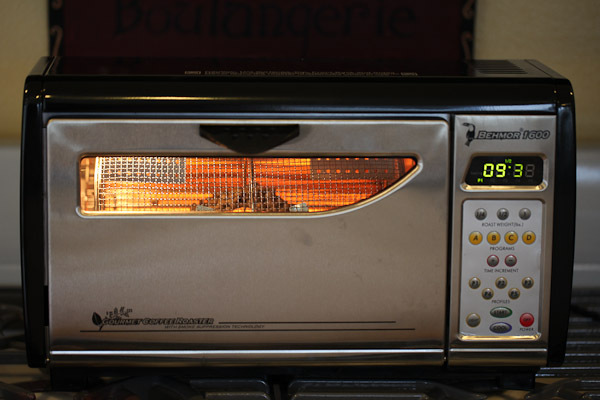 Ideally you’re supposed to let the beans rest for about 48 hours before brewing them, so I had to time my first roasting cycle with my existing roasted bean supply. 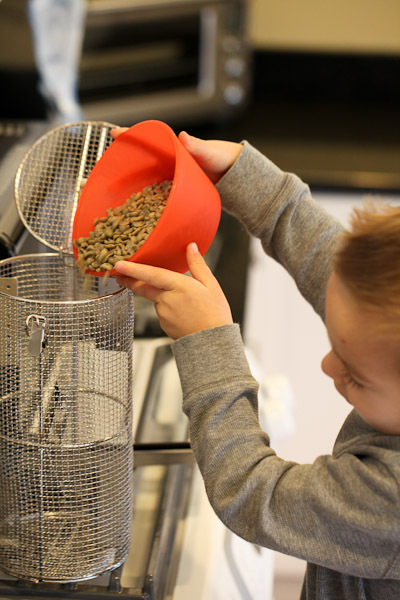 Today was the day to fire it up, so my son and I set about getting the first couple batches roasted. Overall it was really easy. 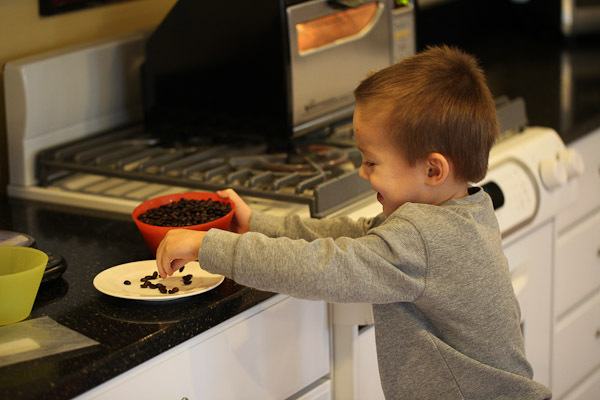 With the Behmor the whole process is just a push button digital experience. 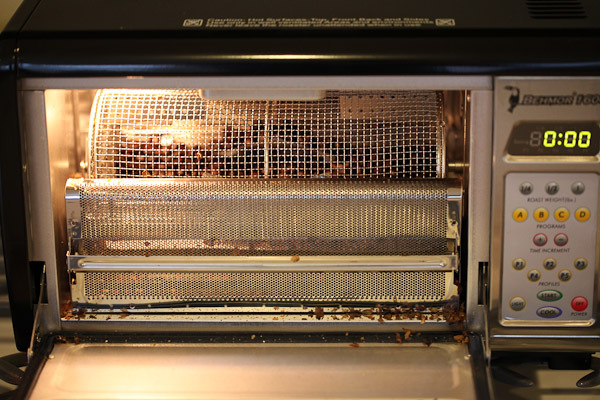 There was a faint smell that came out of the machine, but sitting under the vent hood in the kitchen with a window cracked the house didn’t turn into too much of a coffee roastery. For the first 1/2 pound run I added a bit too much “extra” time and 2nd crack snuck up on me awfully quick. 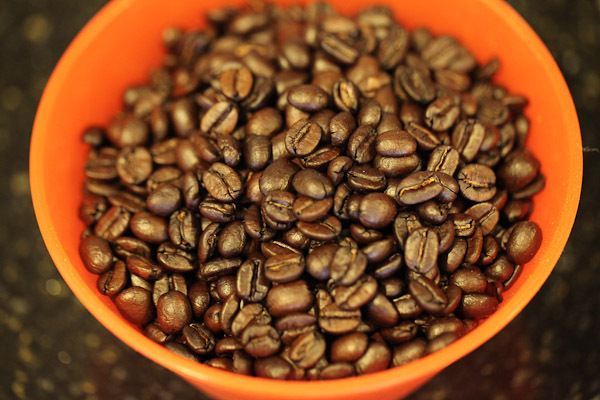 Still they came out pretty good looking, probably great for espresso. Then I took the remaining 1/2 pound and made another batch, this time going with the 12 minute P1 profile. These came out a nice FC+. 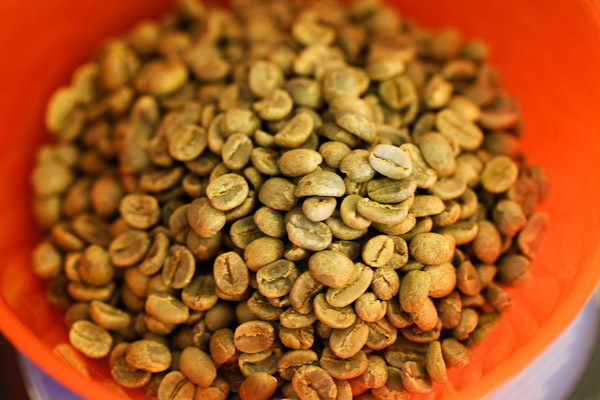 I expect the lighter batch will be a bit brighter in the cup. 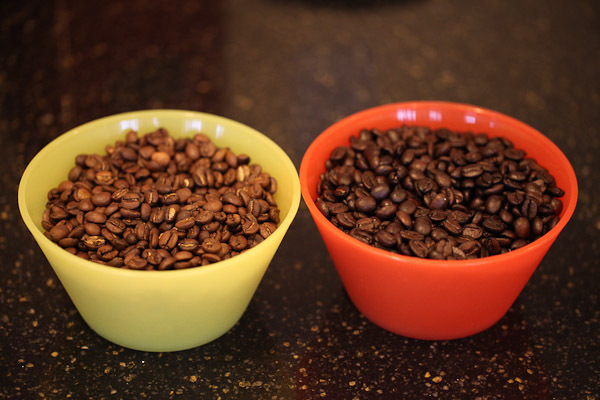 Will be interesting to try the same bean roasted differently and taste the differences. Thunderbolt is the new I/O technology that Apple released in the latest revision of the MacBook Pro. It’s basically PCI Express over a mini display port connector. It will replace FireWire in the future as it’s about 12 times as fast. I also believe it will completely change the type of Mac that many semi-professional/professional users will purchase. Consider a photographer, in the past they might have gone with a Mac Pro for it’s storage options. But a iMac connected to a RAID array via Thunderbolt would make a very competitive machine. First a little more on Thunderbolt. Here is a video showing a small RAID array hitting 800 MB/sec running on a MacBook Pro. That is extreme speed for a laptop device. Previously there wasn’t a way to exceed about 180 MB/sec on a MacBook Pro, and that required using the ExpressCard/34 adapter (17″ model only) connected to an SSD array. The Mac Mini is already offered in a server version. It’s fairly likely that Apple will offer a 4-core Sandy Bridge in the next version of the Mac Mini. With Thunderbolt this makes for a very fast, sub-$1000 machine. The quad core i7 iMac has a very powerful CPU today, but it’s external storage options are limited. Thunderbolt changes everything is this regard. Imagine an iMac tethered to a 4 or 5 drive external array. Today we launched GetHotYogaMV.com. 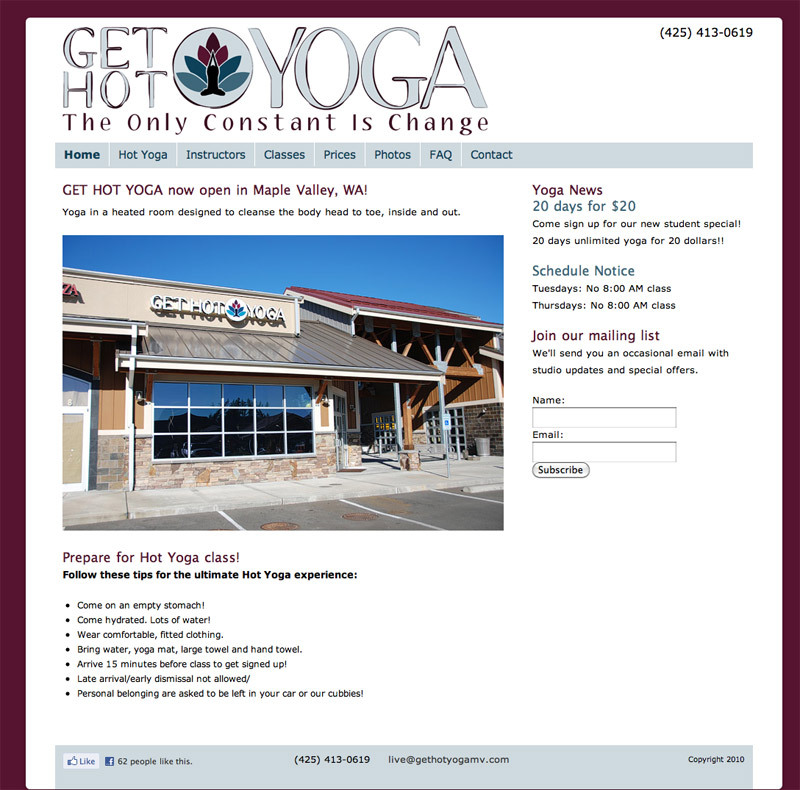 It’s a website for a new hot yoga studio in Maple Valley, Washington. The owners are really hip ladies and did a great job designing the yoga studio and building their business. My wife has been in for yoga a few times and just raves about the studio. I’d take my 3 year old hiking in the Issaquah Alps. 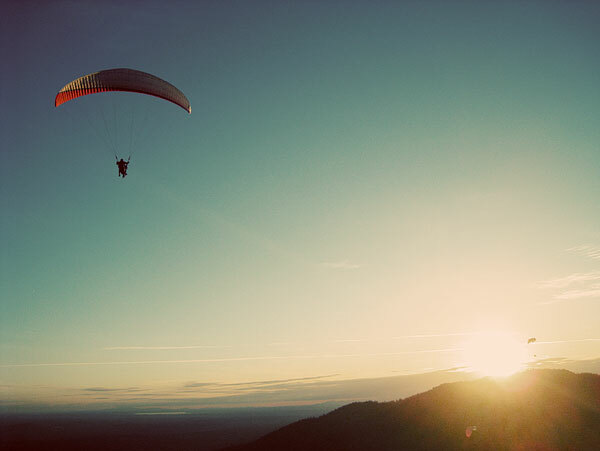 More than a few times I’ve taken my pager hiking, and it’s difficult to enjoy the outdoors when you’re constantly worrying about getting a call. 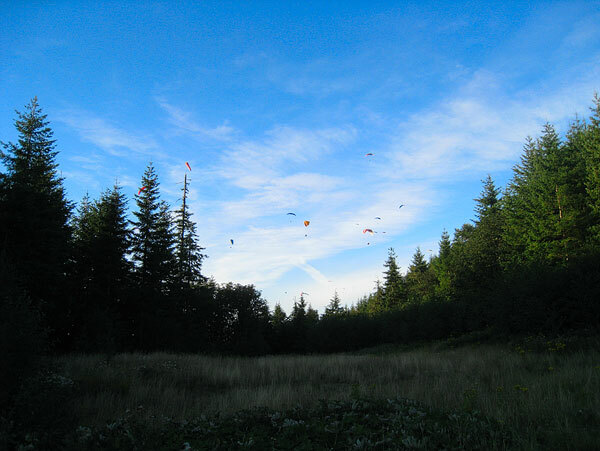 Having the ability to check the vitals on SQL at the trailhead and maybe again on the trail would let me relax a little more and enjoy the time together. 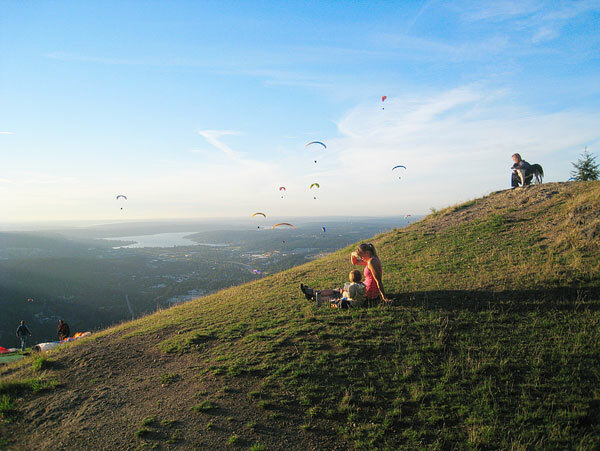 Here are a few pictures from one of our past trips up Poo Poo Point in Issaquah, WA. Also, my company recently bought me a Redgate SQL Refactor license and I have to say they make great software. That tool alone has saved me huge amounts of time.